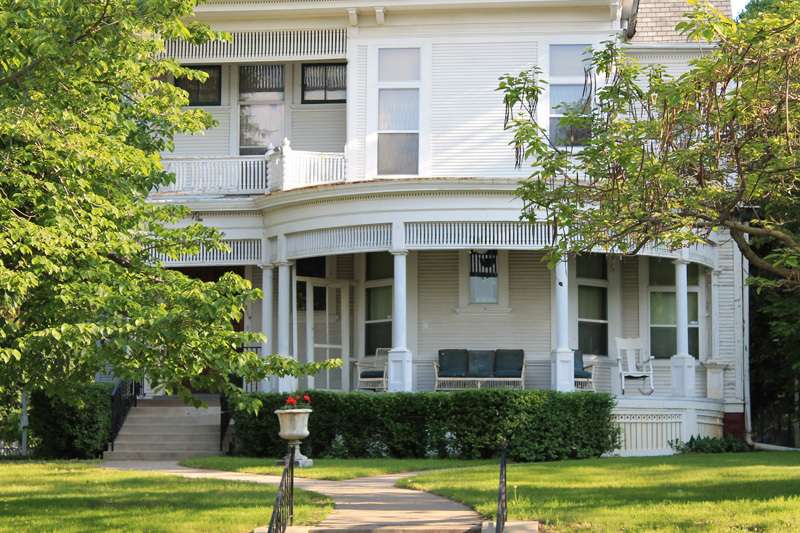 Half a mile west of the Rau-Strong House is the Charles Haas House at 214 West George. 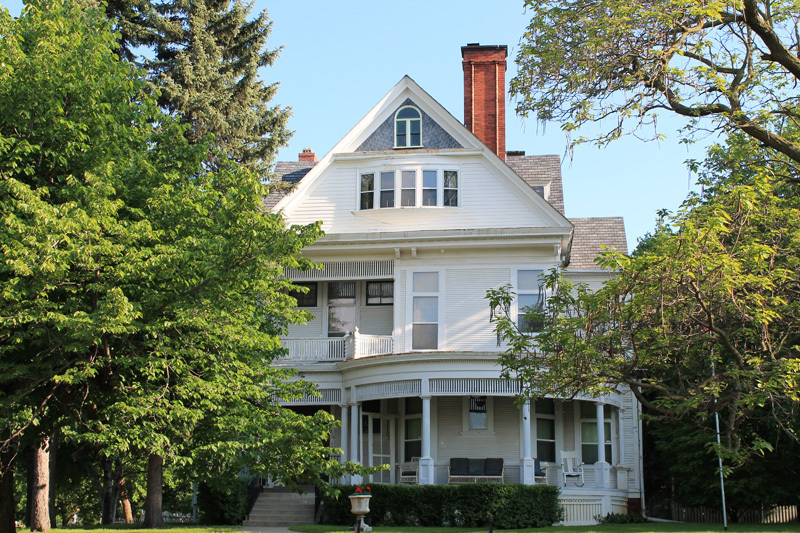 Note the wonderful front porch and attic windows above. Built in 1889. Charles Haas was born in Indiana County, in Western Pennsylvania, in 1849, and came to St. Paul at age 7. His father, Caspar Haas, born in Hesse Darmstadt, and in St. Paul became a very early West Side saloonkeeper -- the Sugar Bar. Later he ran a butcher shop in the West Seventh area. Charles learned the butcher trade, but soon moved up the distribution chain and became a livestock dealer. 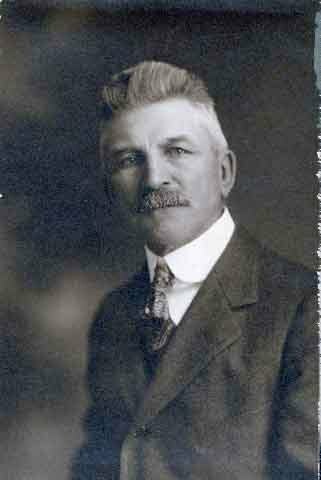 As early as 1884 the Globe newspaper referred to him as a “well known cattle salesman.” After the South St. Paul stockyards opened in 1887, bringing with them a vast increase in the volume of trade, Haas spearheaded the creation of the St. Paul Livestock Exchange and served as its president sixteen years in three different stretches. He was a politician too, serving terms as register of deed and county assessor. Despite his German heritage Haas was also a member of the Irish-American Club; perhaps because his wife, Mary, had been born in Ireland, and perhaps also because of the advantages of socializing with St. Paul Irish-American politicians with names like Butler, O’Brien, and Donnelly. The Haases belonged to St. Michael’s parish. Charles died at the West George house in 1933. George Street, by the way, takes its name from George Bell, believed to have been the first white settler on the West Side; he staked his claim in 1851, immediately after the Treaties of Traverse des Sioux and Mendota that ceded the land to the United States. 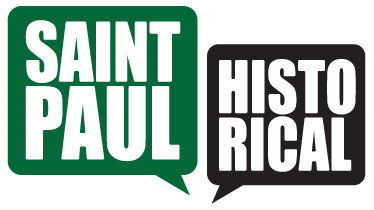 Paul Nelson, “Charles Haas House,” Saint Paul Historical, accessed April 21, 2019, https://saintpaulhistorical.com/items/show/145.